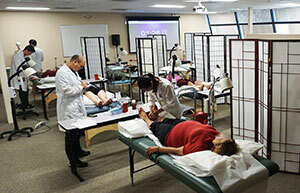 Five Branches University has been leading at the forefront of Traditional Chinese Medicine education and TCM clinical services in the San Francisco Bay Area for thirty-four years. We provide winning opportunities to advance your knowledge of Traditional Chinese Medicine, that you may start an amazing career or simply benefit yourself and your loved ones. Grab your free spot now; spots are limited. Experience our Classroom Culture, Get a feel for University Life as a DTCM/MTCM Student, Go over the DTCM/MTCM Program in Depth, Go on a campus-wide tour of our new San Jose Campus, Receive your application packet. If you are interested in becoming a patient at this Event, please visit the following link and fill out the sign-up form. If you are interested in becoming a patient at this Event, please visit the following link and fill out the sign-up form. SIGN-UP Now! We are offering Acupuncture or Acupressure treatment & TCM Diagnosis to patients. Both the Senior Internship Students and Licensed Acupuncturists from our Clinic Residency Program will be available onsite. Join us on Sunday June 16th, 2019 from 1:00 pm for an exciting opportunity to learn how to pursue your professional career with our exceptional education and training at San Jose Campus! You will learn about our First Professional Doctorate Program, the Dual DTCM/MTCM Program, and how to apply. 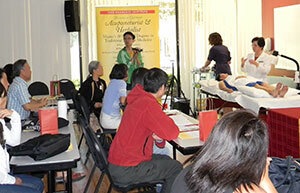 We will also demonstrate TCM diagnosis and Treatment as well as have a campus tour. Join us on Friday September 20th, 2019 from 6:00 pm for an exciting opportunity to learn how to pursue your professional career withour exceptional education and training at San Jose Campus! 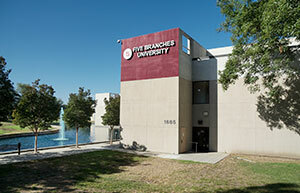 Experience what it feels like to be a student at Five Branches University! Come by and enjoy a tour of our campus, and clinical demonstrations and lectures by some of our teachers. If you have any interest in TCM, the open house event will provide a comprehensive understanding on how to become a student, and the activities that the students will partake in. Come get a free treatment at our Community Health Service event! Consultation and treatment provided to those in need, or for those who simply want to try out acupuncture/acupressure for the first time. Both Licensed Acupuncturist and Internship Students will be available on site. Click on the link for map and direction.